We are going to take a look at the 10 most Traded Commodities in the world. The best part of commodity trading is that there are so many different assets to choose from and it’s easy to find a product that you already have a relationship with. For example, you probably already have a connection to coffee and oil since our lives depend on it. What’s important is that you find a commodity that you understand. Obviously, you can also consider investing in exclusive commodities such as gold and silver as long as you understand what effects their price. Ironically, the main issue with trading commodities is that you have so many different commodities to choose between. It is natural for people to get overwhelmed by too many choices, and sometimes even we here at BullMarketz feel confused about what commodities are best to trade with. Because of this, we thought we’d give you a hand by recommending the 10 most traded commodities right now. Using popular assets is almost always a good idea since their popularity is proof that they are lucrative and interesting to others. You can trade any of the commodities listed in this article simply by using one of the best commodity brokers. The following commodities belong to the most popular in the world, but since the trading volumes are always changing, the order of the list might differ from time to time. That being said, these 10 commodities are the most popular, and it is rare for any other commodity to make it on the list. Crude oil is a pillar that our society relies on and something we all use every day. Because of this, the price of crude oil can have a huge impact on our lives. Due to the incredible quantities of oil that are produced every day, the interest in trading crude oil is widespread. Compared to many of the other commodities on this list, oil is considered new but it’s also very influential and important, yet destructive. Coffee is the third most popular drink in the world after water and tea, and it’s a product that’s enjoyed by millions every day. According to recent studies, tens of thousands of liters of coffee are consumed every day with the Netherlands and Sweden topping the list of the highest consumption. Coffee is also one of the oldest and most traded commodities. Natural gas is the third most used source of fuel after oil and coal, and it provides a highly lucrative marketplace. Natural gas has many uses just like crude oil, and even though there is a global movement trying to limit the use of natural gas, it’s still one of the most popular commodities for trading. Also, considering that natural gas is a by-product of oil drilling, it should come as no surprise that it comes in third place on this list. Gold has been one of the most influential commodities in the world for several centuries. In the past, gold was used as a means of payment in many parts of the world. Later on, a system where gold was used to insure modern currencies was introduced, and today it still represents wealth in most cultures. No matter how you look at it, there is no doubt that gold is the most sought-after metal ever and one of the most traded commodities. Brent oil or Brent crude is the crude oil that’s drilled in the North Sea, and it also happens to be the best oil in Europe. One of the perks of brent crude is that it’s thinner than other oil which means it’s easier to refine into petrol and diesel. Brent oil also functions as a benchmark for other oils, and because of that, the price of brent crude has a major impact on the global price of oil. Silver has always been the younger brother of gold, and for most of human history, it’s been considered one of the most valuable metals. Silver is very prominent in jewelry and decorative products as well as in electric products. Sugar is traded globally in every country on this planet. Even though sugar is not optimal for human health, it is a part of everyone’s daily diet. As our eating habits develop and worsen, sugar takes over more of our lifestyles. Sugar also happens to belong to the top list of the world’s most traded commodities. Corn is very popular in the international commodity market for three different reasons. Firstly, corn is used to feed a large number of animals for our meat, milk, and egg production. Secondly, corn is a great source of biofuel. Thirdly it’s an extremely popular food item that’s enjoyed in many parts of the world. In fact, corn has become so popular in recent years that it’s one of the most lucrative grains in the United States. Wheat is another plant that people rely on in their everyday life. In recent years, what has become so prominent in our diets that we eat it for almost every meal whether it’s in our cereal for breakfast, in our sandwich we have for lunch, or the pasta we eat for dinner. Today, wheat is incredibly important to us since it helps feed people and animals alike and according to analyses, the market is only going to get bigger. Cotton is one of the oldest fabrics to have been used for clothing, and it’s a product that’s been traded globally for hundreds of years. Compared to other similar materials, cotton is durable and easy to work with which makes it optimal for everyday clothing, furniture, etc. Cotton is so popular in today’s society that chances are high that you wear at least one clothing item made from cotton. Other popular commodities that have great global influence but didn’t make it on this list are soybeans and copper. The more a commodity is traded the quicker the market develops and the better that commodity is for trading purposes. This is the reason why we recommend you trade with popular assets. In fact, the above-mentioned commodities are what most CFD brokers offer and in some cases, it’s even all they offer. The following brokers are our favorites and you can read more about them by clicking the links. To round this up, we want to mention that you have different ways of trading commodities. 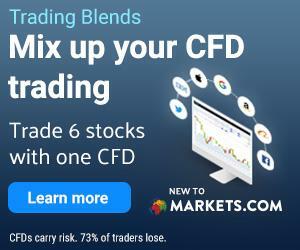 Many people invest in commodities using futures on the stock market, however, we suggest you try using CFD trading. 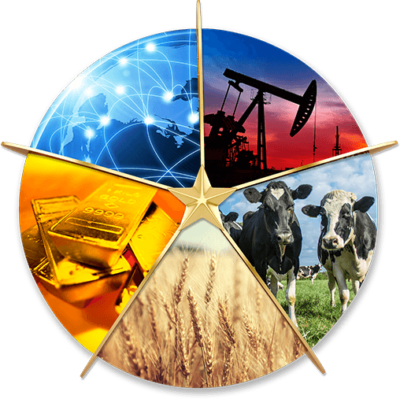 To learn more about trading commodities we suggest you read all of our related guides, take a look at the pages we’ve created for specific commodities, and read up on how CFD trading works.